Denis Villeneuve (Sicario, Blade Runner 2049) will be handling the reboot of Dune and is adding a ton of big name talent. Oscar Isaac stars as Poe Dameron in the new Star Wars films and will now join Oscar-nominee Timothée Chalamet (Call Me By Your Name), Golden Globe-nominee Rebecca Ferguson (new Mission Impossible films, The Greatest Showman), Dave Bautista (who plays Drax in Guardians of the Galaxy and rejoins Villeneuve after a role in the new Blade Runner. Chalabet will play the lead character is young Paul Atreides with Isaac and Ferguson as Paul’s parents: Duke Leto and Lady Jessica. Zendaya (Greatest Showman, new Spider-Man films with Tom Holland) is in talks to play young Freman tribe member Chani in the new film which also has Stellan Skarsgård (Thor), and Oscar-nominee Charlotte Rampling (Red Sparrow). Oscar winner Javier Bardem (No Country For Old Men) is in talks to play Stilgar, a leader in the Fremen tribe who takes Chalamet’s Paul under his wing after his family is betrayed and the survivors are on the run in the wastelands of Arrakis. Stilgar is a major character in the novel, one who helps shape Paul into a leader and acts as his general as they take the fight directly to their enemies. 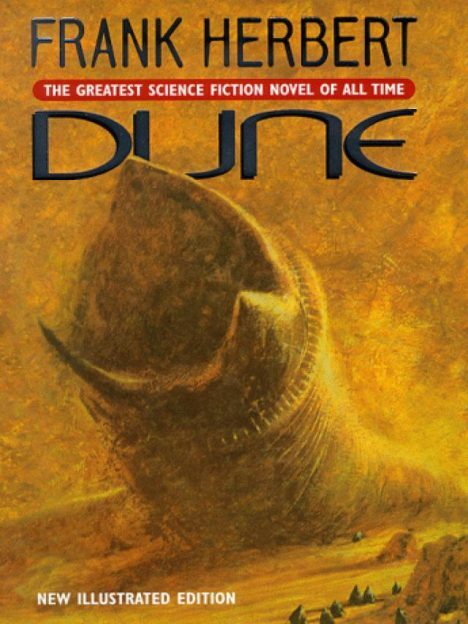 Dune follows Chalamet’s Paul Atreides, the heir apparent of the Atreides family. When they’re sent to rule over the desert planet Arrakis and its valuable spice commodity, their rule is contested by competing noble families, leading to betrayal and ultimately rebellion.